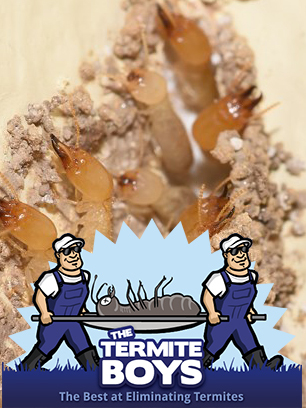 While not all termite species are considered pests, just about any termite species would be willing to munch away at your house, especially if no other food source is available. Most people would not believe that only around six percent of documented termite species are known for damaging manmade structures. This six percent even includes termite species that inflict structural damages that are considered insignificant in scale and rare in frequency. Believe it or not, but only 2 to 3 percent of all documented termite species have been found inflicting significant damages to wood-constructed structures. Despite these statistics, here in America, where the diversity of termite species is relatively low, termite damage to structures costs around five billion dollars per year, and you or someone you know has likely fallen victim to a termite infestation at least once. It cannot be denied that termite pest activity is an expensive problem in America, but all Americans should be grateful that they don’t have to live in a tropical country where termite abundance and diversity is at its highest. Many people know that the ideal termite habitat can be found in equatorial regions where the climate is both hot and humid. Tropical regions are also home to diverse forms of plant life, therefore, the greatest amount of dead plant matter can always be found within tropical regions, like the Amazon. Since termites are ecologically important for converting dead plant matter into fertile soil, it is no wonder why most termite species dwell within tropical regions. Unlike most Americans, people living within tropical areas generally appreciate the ecological services that termites provide. However, the island inhabitants of Fiji near the coast of Australia have been subjected to the sort of termite destruction that is beyond any Americans’ understanding. Not long ago, the highly destructive Asian subterranean termite established an invasive presence on the southern coast of Florida. Luckily, the temperate climate north of Florida is preventing the migration of this species into more American states. Unfortunately, thousands of people in Fiji have seen their homes completely destroyed by invasive Asian subterranean termites. Since 2010, several cities on the Island have been categorized as “biosecurity emergency areas” due to the high amount of Asian termites that have infiltrated the island from nearby Australia, where they come from. One Fiji native who lost her home to termites, Indra Wati, claims that the termite invasion is the worst disaster that she has ever witnessed. This is a bold statement considering the fact that Wati has lived on the tropical island for 55 years. So far, nearly 2,000 different locations on the small island have become infested with colonies of Asian termites. In order to eradicate this enormous island-wide termite infestation, all Fiji natives are being called upon by the government to contribute to the effort. In one year, Fiji’s Government spent more than $50,000 on public awareness programs concerning the termite catastrophe. These programs made use of newspapers, radios and television in order to bring all Fijians together in a collective effort to eradicate the seemingly infinite number of termites in the country. Given Fiji’s state of termite-induced chaos, are you curious to visit the country in order to see the disaster with your own eyes?